Inimiti is about working together and inspiring each other. We love innovation and we are enthusiastic to create the next big thing. We embrace the notion of moving fast, jumping over hurdles and constantly changing to lead markets. Our Name: Inimiti is a derivative of inimitable, which means “something that is beyond imitation, something surpassingly excellent, unrivaled and exceptional.” We like to feel that way and, even more important, it keeps us on edge and reminds us daily about the high level of performance we expect to deliver. Our Team: We like to think of ourselves as the perfect team (we really are) to make seed-stage New Media investments and to make them super successful. We bring extensive experience in fund and company management from being entrepreneurs, CEOs and investors. We have the execution experience and a worldwide network of contacts to support our portfolio companies in the Internet and Mobile sectors. Our Focus: Software platforms and services in the New Media space (Internet, Mobile and anything in between). We are at the center of a revolution in the way people communicate, consume content, shop, do business and manage their lives. The usage of Internet and mobile today, and their connectivity presents a tremendous opportunity to create successful companies that bring new platforms and services to the space. Combine that with today’s rapid development and deployment technologies and our start-up companies are getting to the market faster with less capital, and grow quickly into profitable businesses. Our Added Value:We understand the tricky balance between pushing our companies forward vs. holding them back. We are very involved in our companies’ strategy and execution but most importantly: we know when to step back. We use our network to help build teams, develop the business and also take care of future rounds of financing. Inimiti’s team is one of the strongest and passionate venture teams in Israel. We are all entrepreneurs with strong background in venture, technology, business and execution. Our job is our passion and our team is part of our family. We believe in synergy between people and a team spirit that elevates what we can do together. 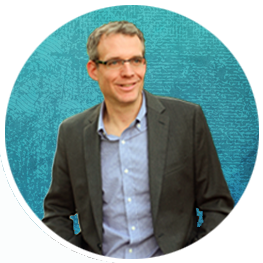 Prior to co-founding Inimiti, Ofer co-founded and managed Delta Ventures, a seed and early stage Israeli fund. He had an active role in building portfolio companies from the ground up and assisting in more advanced stages by serving as a member of their boards. Before Delta Ofer was president of Jacada (NASDAQ: JCDA), bringing the company from the startup stage to an international, public company. 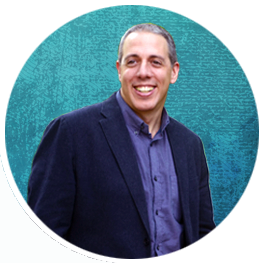 Ofer is a board member of FiftyOne Inc., Broadlight Inc. and ClickFox, Inc. (all international companies with aggregated revenues of hundreds of millions of dollars) and was a fighter pilot at the Israeli Air Forces. He holds a BSA in Economics and a BA in Business Administration from Haifa University. Nimrod is one of the strongest Internet entrepreneurs in Israel. He breaths the space and knows everyone and everything important that is going on. He has 15 years' experience in New Media, with proven track record as an entrepreneur, investor and executive in the space. Nimrod knows how to recognize a winning team and idea when he sees one and more important, he will be relentless in making them successful. Prior to co-founding Inimiti, Nimrod founded kSolo, and sold it to Myspace (News Corp Fox Interactive Media). He then served as Senior Vice President and General Manager at Myspace, overseeing the integration and the successful launch of Myspace Karaoke turning it to the world’s largest user-generated music service. Before kSolo Nimrod co-founded Jcupid.com and Cupid.co.il, which became the world's largest online Jewish dating community. Nimrod Oversaw Cupid's International expansion and later guided it through an acquisition by Spark Networks (JDate). 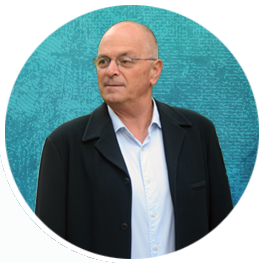 Nimrod invested in several start-up companies as an angel and he is on the board of several new media companies including Fring, Footbo and he is on the board of Beit Hatfutsot. 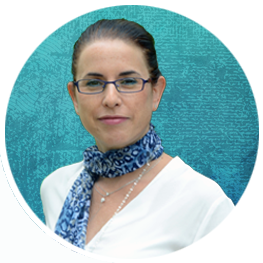 Lilach has 15 years of experience in managing the financials of venture funds as well as start-up companies. She was involved in many rounds of financing and M/As of Delta's portfolio companies. Lilach is very active in helping our companies with their budget planning, finances as well as in other operations such as legal, payroll, HR, insurance etc. Prior to Inimiti Lilach served as the CFO of Delta Ventures working with Ofer on rounds of financing and M/A. Before Delta Lilach was a manager at Ernst & Young Israel. 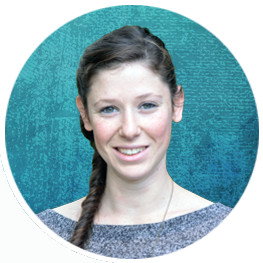 Lilach is a certified CPA and hold a BA in Accounting & Economics from Tel-Aviv university. Wakingapp wins IBM Smart Camp Europe Regional Finals 2014! TNW - Crowd sourced ad design platform Dispop launches with $600k seed funding from Inimiti.